The University of Miami made yet another comeback, but this time it was not enough in a 5-2 loss to the Duke Blue Devils in extra innings. The Hurricanes struggled to score most of the evening, but broke through with two runs in the bottom of the eighth inning. However, the Blue Devils, who also had a difficult time converting with runners in scoring position, broke through in the extra frame, knocking in three runs to break a 2-2 tie and avoid a sweep on Monday night. 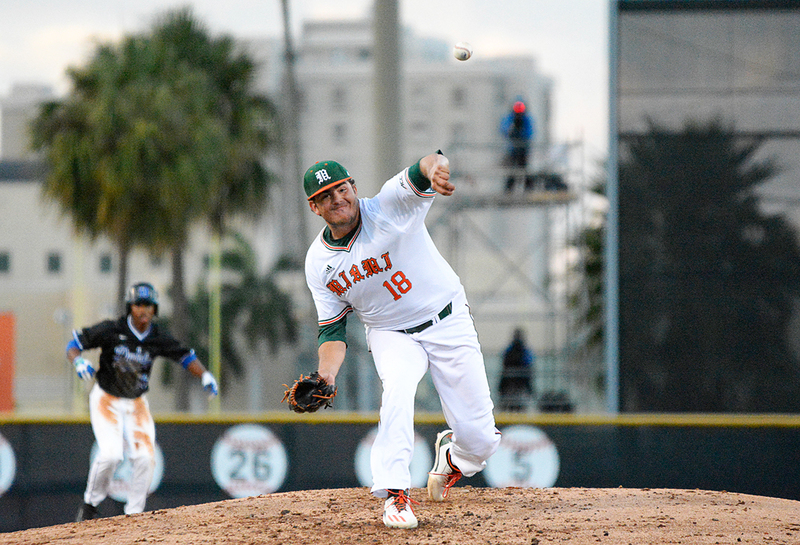 The southpaw Michael Mediavilla got the start at the hill for Miami (15-17, 7-8). Some have described him as an “effectively wild” type of pitcher, and he showed exactly why at Mark Light Field. Mediavilla walked five and got himself into many deep counts during his 5.2 innings of work. Mediavilla’s counterpart was right-hander Ryan Day, who was on the mound for Duke (17-17, 6-9). 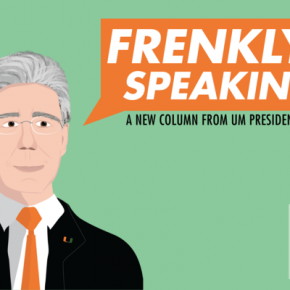 He was just the opposite – wildly accurate. Day tossed first-pitch strikes to every single batter until Miami left-fielder James Davison finally hit one in the bottom of the fourth for the Hurricanes’ first hit. Day finished with 18 first-pitch strikes while facing 23 batters. Duke broke open the scoring in the second inning with a double and a walk. A sacrifice bunt put the Blue Devils in prime position to capitalize, and they did just that with an infield single and a fielder’s choice to drive in runs on back-to-back plays. This gave Duke a 2-0 advantage early. Mediavilla got off to a rocky first two innings, throwing over 40 pitches and struggling to locate his fastball. In the third, he seemed to start settling in, notching consecutive strikeouts to close the frame for Miami. His night ended with two outs in the sixth after allowing a walk and a single in the inning. Reliever Andrew Cabezas succeeded in closing out the inning, striking out Duke leadoff man Jimmy Herron with a slider on a full count. Cabezas was on fire from there, striking out the side in the seventh while tossing just two balls in the frame. But, Day was in just as much of a rhythm for the entire night, allowing just one hit and not a single fly ball or walk across his seven scoreless innings of work. 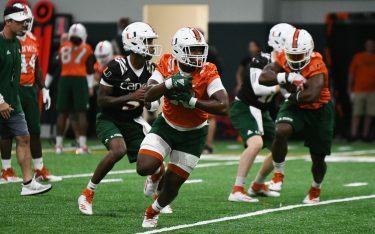 Day’s exit opened up the offense for the Hurricanes. A Christopher Barr double down the right-field line brought home a walked Edgar Michelangeli to cut the deficit in half with none out in the eighth. Blue Devils reliever Nick Hendrix retired the next two batters, looking to get out of the jam with the lead still in hand. Miami’s Randy Batista had other plans, lacing a single past the outstretched glove of the third baseman to knot the game at two apiece. The score remained tied until the 10th, when Duke exploded for five hits – enough to clinch the victory after Miami’s offense sputtered in the bottom of the inning. The win went to Blue Devils closer Jake Labosky, and seven Duke players chipped in at least one hit for a total of 11. Miami closer Frankie Bartow drew the loss, and run support was lacking. The Hurricanes mustered just five hits, with only one in the first seven innings. Morris noted that the Canes made a few mistakes that cost them the ballgame. Batista sees the setback as a lesson. 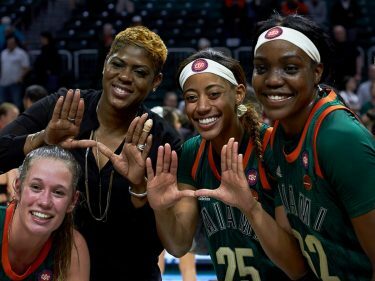 Miami hosts Florida Gulf Coast University at 6 p.m. Wednesday, where it looks to get back on the winning track. “One game at a time,” Barr said.